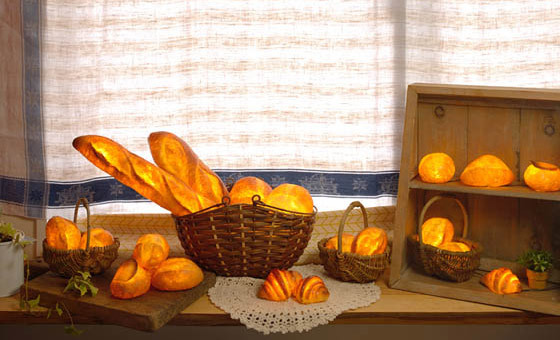 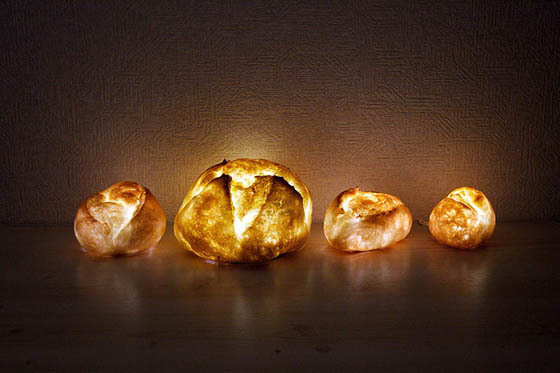 Created by Japaneses designer, Yukiko Morita, a big bread lover, Pampshades is the luminous bread look like lamp. 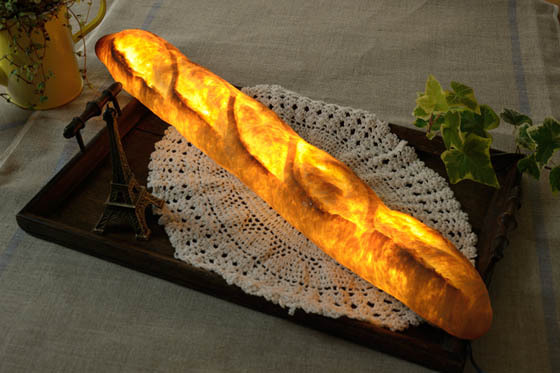 It doesn’t only look like bread, it is actually made of real bread. 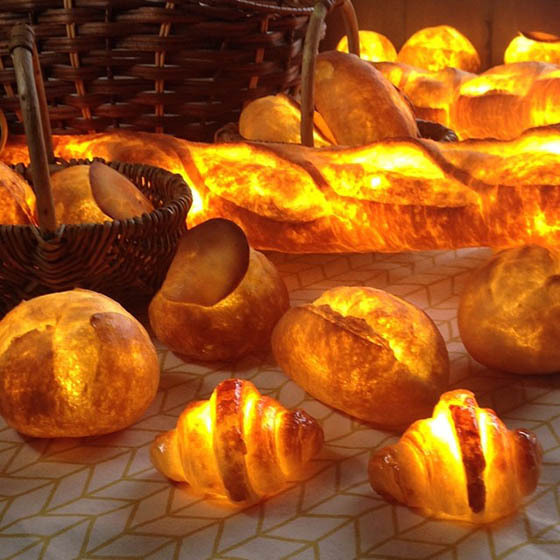 Take a look a its ingredient: bread flour, weak flour, solt, yeast, led, battery, and more… Pretty amazing right? 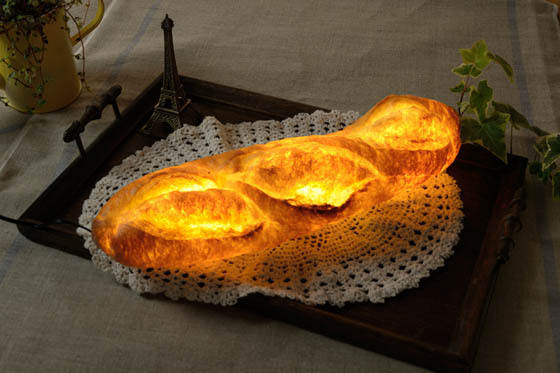 After making the bread, Morita coats it in resin and filled with LED. 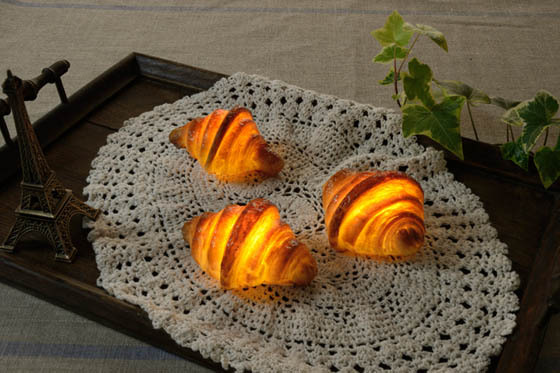 So far, you can have the larger baguettes, batards and boules plug in to a wall socket, while the smaller series – petits boule, coupe, shampignon and croissant – run on batteries. 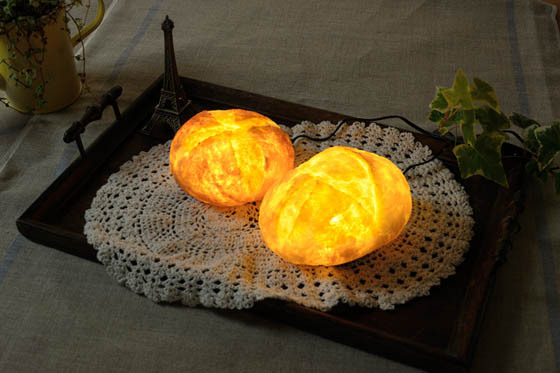 Looking for something cool lamp or nightlight? 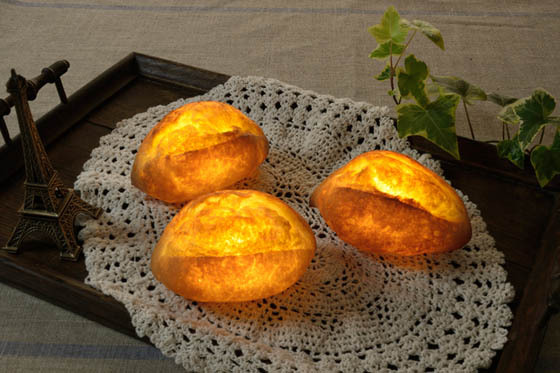 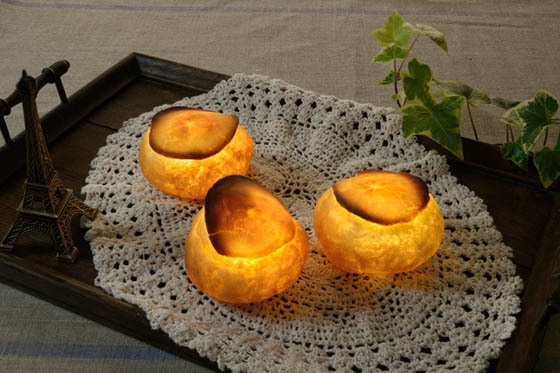 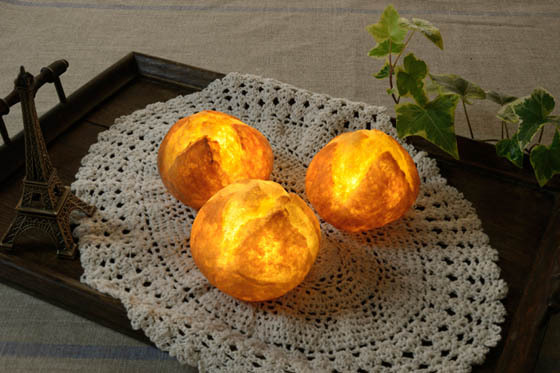 These delicious soft lighting lamp can help add some mood light to any room.